IAAPA Hologram Projector displays brighter images due to new technology. 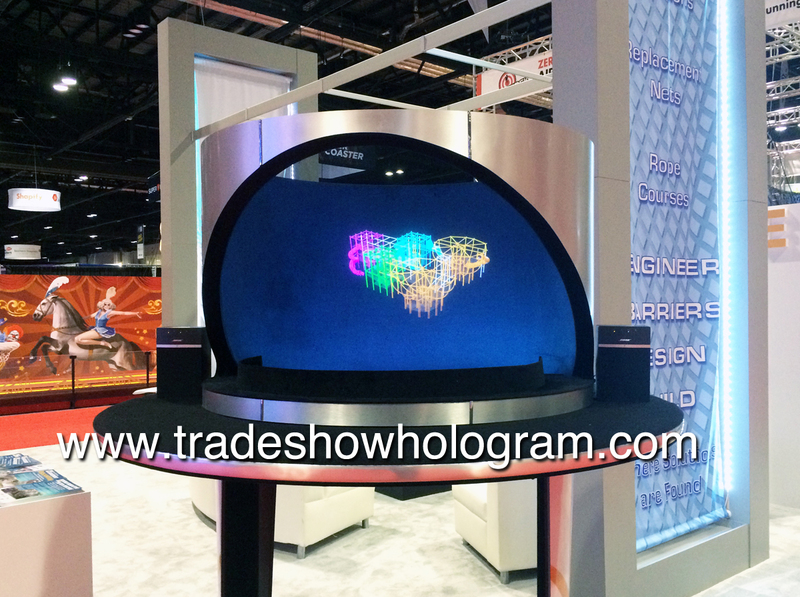 A newly enhanced hologram projector was featured at the 2015 IAAPA trade show in Orlando FL this November 17-20th. The newly upgraded 3D hologram projector featured new enhanced technology that had been tested in studio conditions but never in a bright trade show environment. The new equipment exceeded expectations said Trade Show Holograms owner Timothy Drake. The Holographic exhibit projects moving objects that appear to float in mid air and are available for rental and sale across North America. This amazing technology draws attention to trade show booths in the busy trade show environment.